Day after day we strive to capture literal blinks in time—for both our clients and ourselves—that stitch together moments into beautiful memories. We think of ourselves as photographers but in most cases we are storytellers; witnesses to intimate moments, small triumphs, and quiet sorrows. After this photography workshop you will walk out with a concrete plan for your first documentary project, knowledge and also practice under your belt regarding what it takes to successfully tell stories with your camera, and a better appreciation for the history of documentary work. 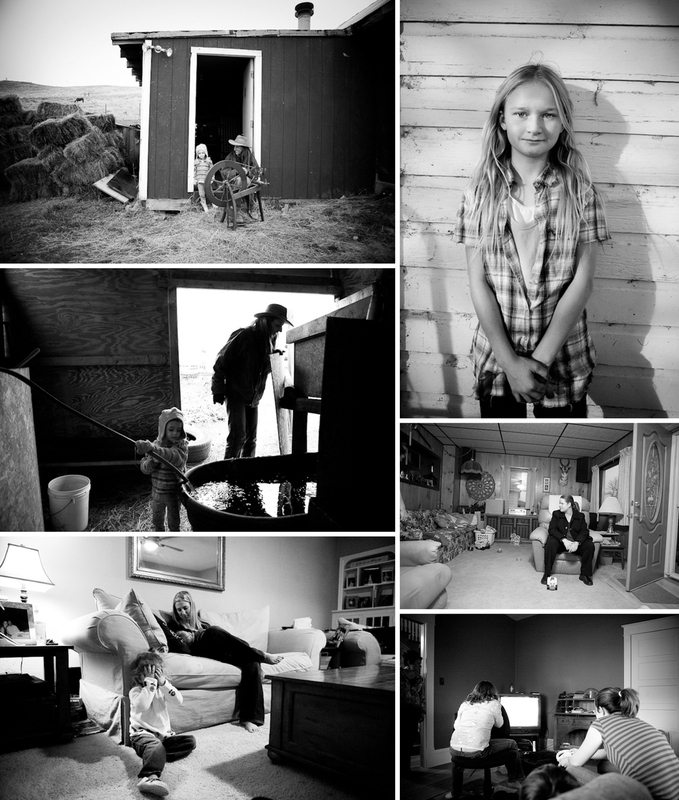 Before embracing lifestyle family photography Lindsey completed her Master's degree in Documentary Photography and then chronicled the lives of the families who remain behind in times of war as well as motherhood in rural America. She now has two small children and has shifted her focus to capturing the raw, real moments of their lives. You will start by examining the work of notable photographers to gain an understanding of the different approaches available and identify which you may want to use. In addition, each participant will present their idea and a plan for a project that they will in turn initiate… baby steps to get going and overcome whatever fears and obstacles may be holding you back. A part of this means a lot of sharing and discussion. Defining your hopes, fears, and dreams are a huge part of success, so you will walk away with big dreams for your project. accountability to get out and shoot… for those of us that need that extra little kick to shoot that project we’ve had in mind for so long! Also included is a detailed PDF as a guide for your project. All experience levels are welcome and encouraged. The class will be a friendly environment where you can share both ideas and work with others to receive constructive feedback. SO HOW DOES IT ALL WORK (FAQ)? What is the difference between the ACTIVE and SILENT seats? An active seat will allow you to interact with me and the other students in the forum. You will submit assignments, engage in discussions, and receive feedback from me. If you purchase a SILENT seat you will be able to follow the assignments and receive the materials from the class but you will only be able to "sit in" on the class and not participate. How does the class work? Do I have to be on the forum at certain times of the day? I present material every weekday and most assignments are scheduled for weekends (with a few exceptions). You do not need to log in at certain times...this is a go at your own pace. So for those of you who are international you can log in when you can and you will see what everything that is going on. I have not heard that this is a problem for any of my international students. My classes are very flexible (ie you get sick or have some other circumstances) you can always submit and I will provide feedback. "Documentary Storytelling was an amazing opportunity to learn from Lindsey Bergstrom alongside many other talented photographers. The course challenged me to think more deeply and reflectively about my work and the direction that I am heading with my photography. References to accomplished documentary photographers helped me learn and experience the vast opportunities to tell stories through photos. I was also inspired to think about my work in projects - stories that I want to tell. I leaned strategies and techniques to help tell a story through meaningful photographs, how one might go about choosing a project, how to connect the project to real people and how to select the images that stand out as crucial to telling the story. I am still learning - but have already returned to the class notes to help me as I think about a project that I am currently working on. It has helped me confirm the importance of a personal connection to my photographs and subject. Thanks, Lindsey!"